In addition to cleanliness, the current appearance of public toilets is also a special attraction for visitors, especially in the mall, apartment or restaurant. Such business places like shopping centres today should also be sensitive to their visitors’ tastes. The sink area can be an object that can be decorated because it is relatively not exposed to water. Interesting and functional decorative items that can be used are paintings, garbage baskets or just wooden frames. This idea book will feature 12 interesting toilets. 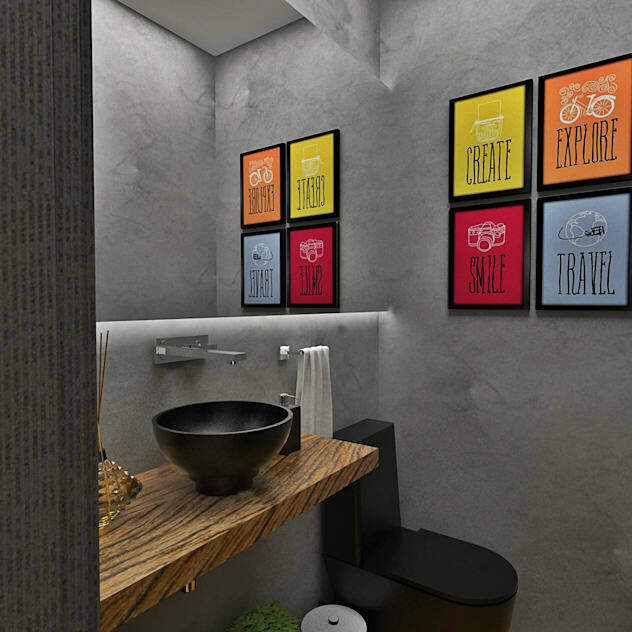 Their idea of organising the toilets is inspirational enough, can also be imitated for your bathroom at home. One of the advantages of decorating a toilet compared to a bathroom is the real lack of moist air from water vapour. So it is safe to place paintings in dry areas. 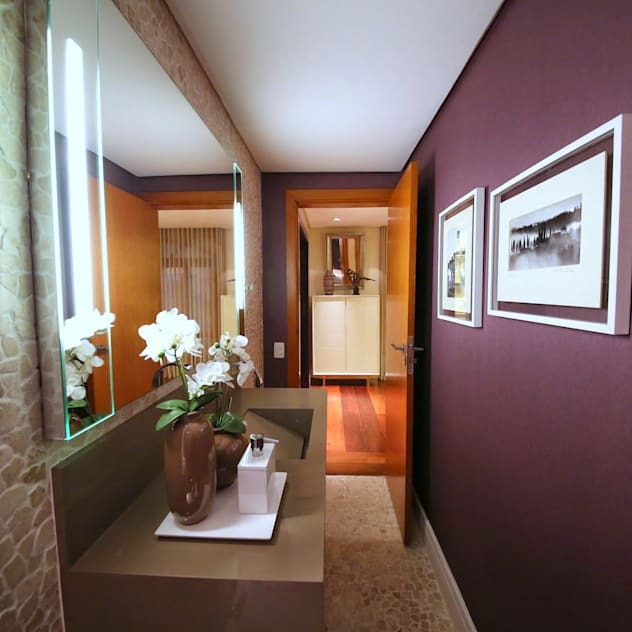 Just look at the toilet with a white painting frame that contrasts with the purple wall. 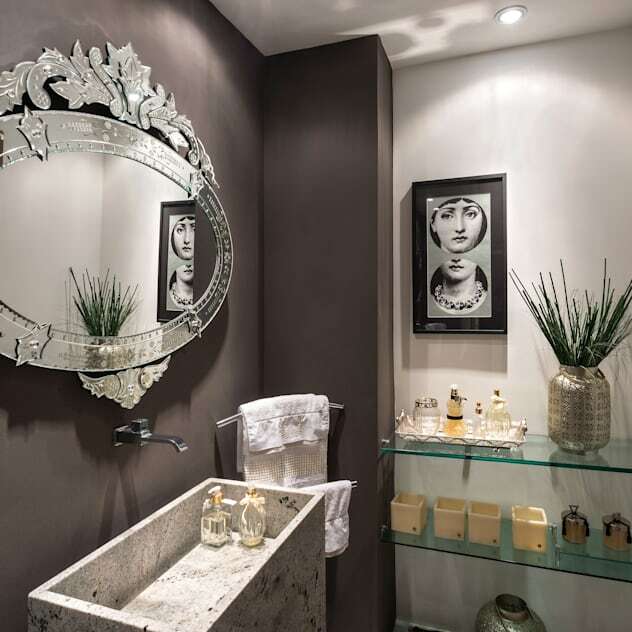 The amazing mirror is a must on the toilet, whether with the picture frame above, whether large or straight or taking the whole wall. One reason is to enlarge the space dimension, giving the impression that space is larger than it is. Another reason is the convenience that gives the user time to see his performance. An interesting idea for the toilet in this picture is a glass shelf with a beautiful collection. Some people innovate toilets by choosing themed ornaments. It may be unusual, as in the picture above, where it presents an exciting frame like sports, motor cross. But it could be other, more smooth ideas, like flowers, or taken from pop culture like movies and comics. Choose what you love most and put it on the toilet wall! 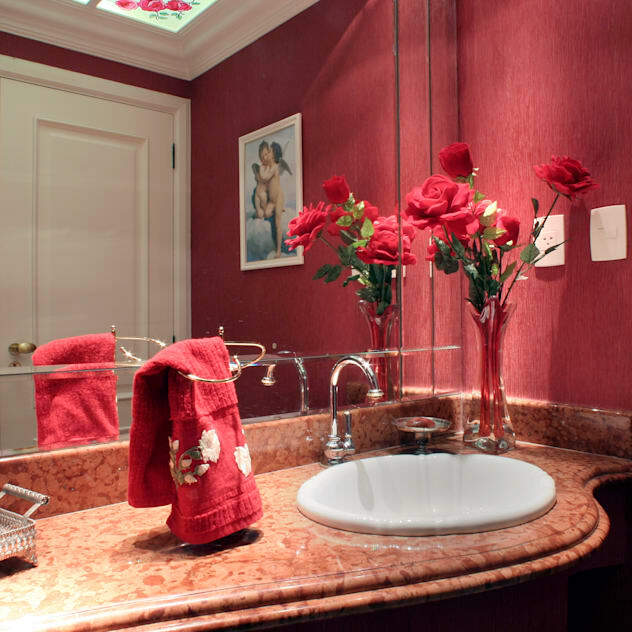 Know that you do not have to be satisfied with the style in the toilet alone because the combination can be surprising. 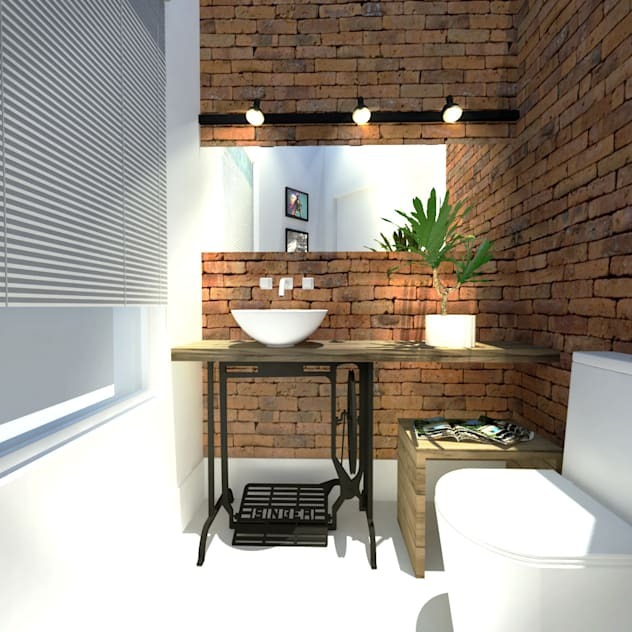 In the picture above, this small bathroom has a modern white base like shade but also looks natural with wooden and brick walls. 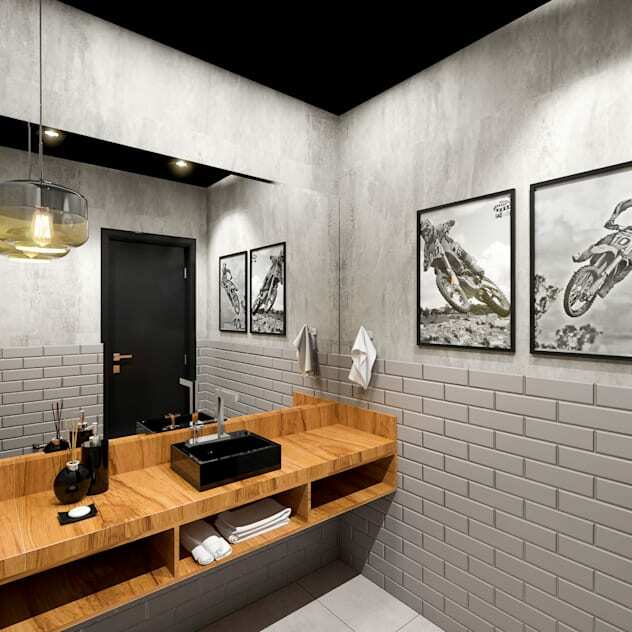 The industrial style also appears in this toilet with the presence of lighting with metal rails. Also, uses recycled objects, such as a metal sewing machine used as a pedestal for a sink. It is impressive and creative. Graphic design can contribute a lot to the modern, fresh and exciting decor. The toilets above, grey and black are the work of colourful comics with graphics. The black toilets and bathtubs have bold designs complementing the atmosphere of modernity. 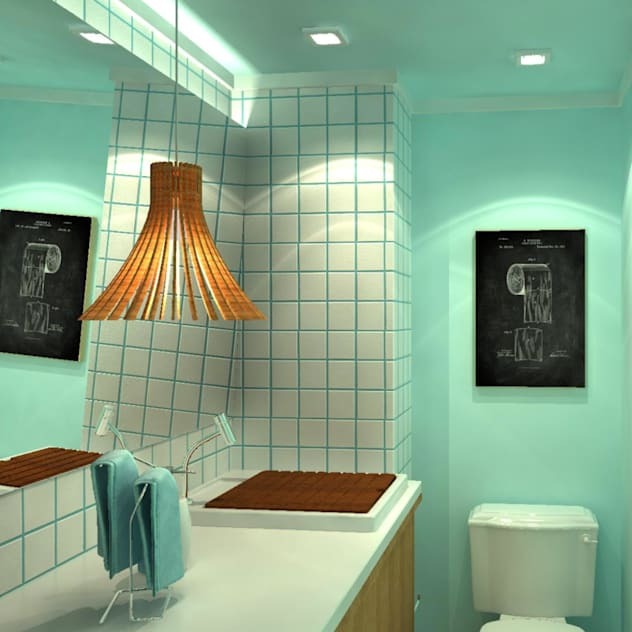 The combination of colours and shapes can turn the toilet into an attractive space that fills your eyes. 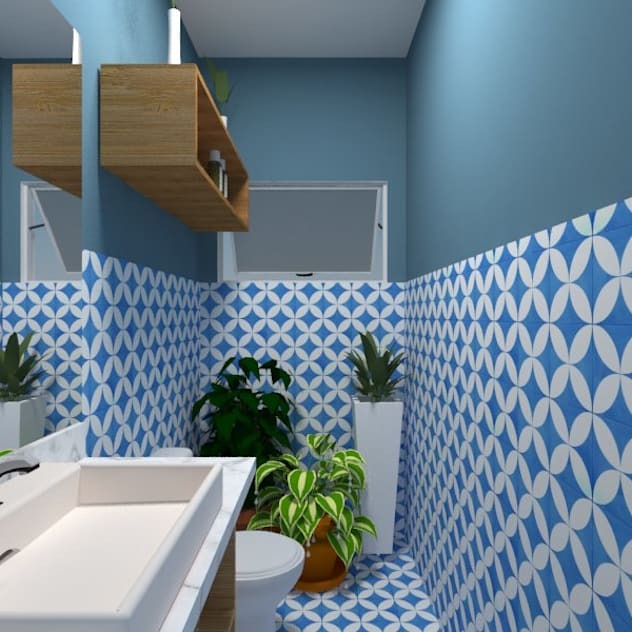 This blue-white toilets, seen the top of the wall is smoothly followed with a similar ceramic tile that is installed to the floor. The tile part causes a slight optical effect that gives flicker effect on the eye. Details of wood and a variety of potted plants look refreshing atmosphere. 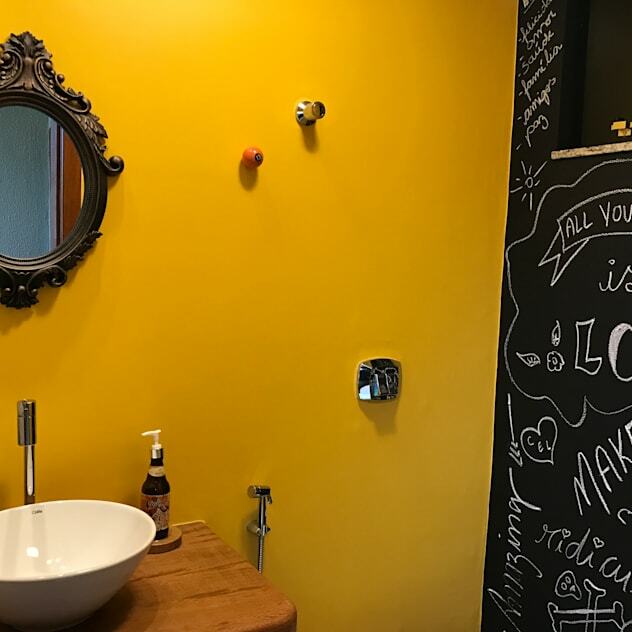 If you want to give the toilet a vibrant, cheerful and fun atmosphere, copy the following ideas, one bright yellow painted wall. The other side of the wall in black paint is offset, this space becomes fun to facilitate guests who are idle leaving messages or small images. 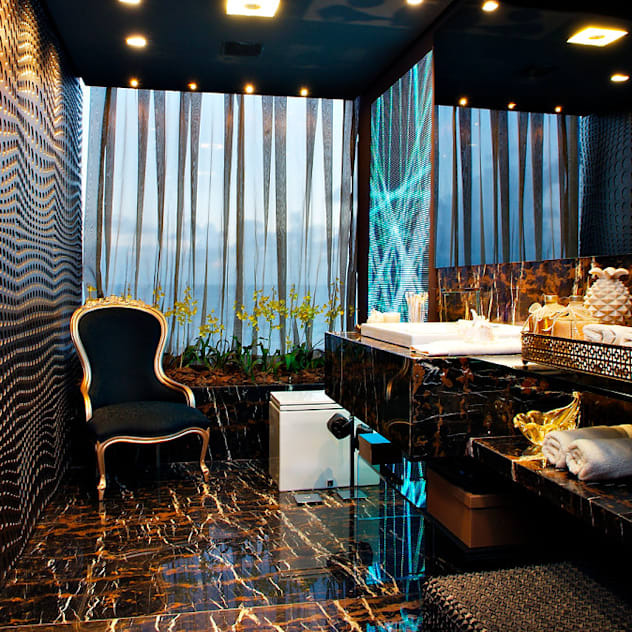 If that is your style, spacious toilets are an interesting idea to make it glamorous. In the picture above, a room with marble sink floor and bench, wallpaper with zebra leather motifs, classic lounge chairs with gold structures and do not forget the spotlights. No reason not to be impressed! It’s a good idea to consult with an expert if you do not want to speculate with the luxurious material. With a more classic style, this toilet comes with pink shades on the walls and accessories, as well as a marble motif on the table. The white sink balances the colour intensity. This might be a great idea for those who love elegant surroundings. Pastel shades look perfect in this toilet because the colour is soft. In the picture above, pastel blue on the wall and sanitary equipment with white, white tiles with blue joints. Details like the chandelier above the sink capture the look and disconnect the colour continuity. 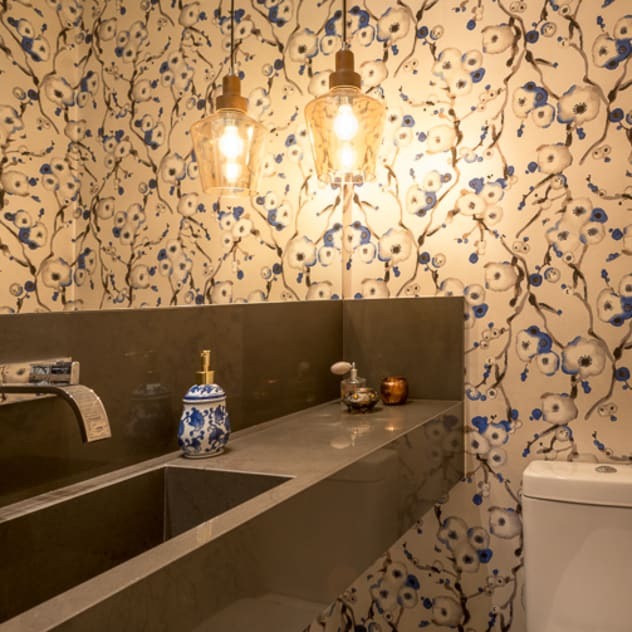 The soft impression is seen in this toilet, with floral wallpaper, in contrast to the grey granite sink table and illuminated by beautiful sanitization equipment. 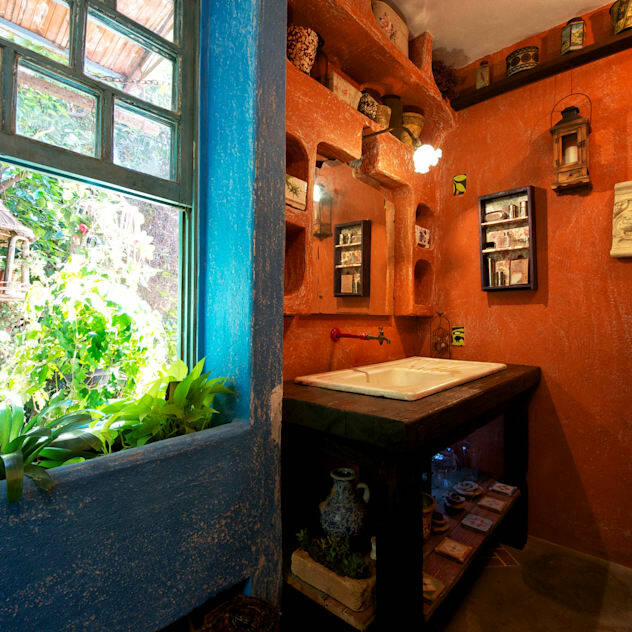 The rustic-style toilets can be very comfortable, as seen where the bottom of the sink is of solid dark wood and the walls are painted ocher and have many decorative objects.